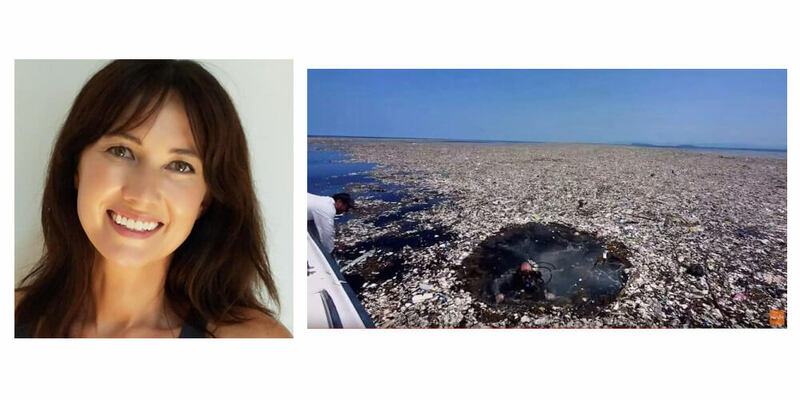 Listen to our podcast on plastic and ocean pollution. I ran some math the other day that was pretty dismal. At my local Kroger grocery store, nearly 100% of customers leave with plastic bags, maybe 5-10 per customer on average. They’re open for 20 hours, and let’s say they get 200 customers an hour. That is 40,000 plastic bags per day, or 12 million a year. Just one store in a nationwide chain, and there are four in my little town. And that doesn’t include the fact that a lot of the stuff in the cart has some kind of single-use plastic around it too. Here is the thing – plastic never degrades (which is, in fact, a good thing when we come into contact with it, because its building blocks are toxic). In theory, someone in the year 2219 might stumble across that plastic bottle you used. As plastic sits out there in the oceans, salt, sun, UV, and wave action turn your plastic bottles into microplastics, which get eaten by sea-dwelling creatures, damaging the ecosystem, and move up the food chain onto dinner plates. So we ought to do something, right… but what? Plastic Oceans International is an advocacy and education organization tackling exactly this problem. Their mission: to change the world’s attitude towards plastic within a generation. This non-profit organization serves the ocean and the public by engaging people of all ages, in all social situations, to understand the danger of continuing to perceive plastic as being disposable (which it ultimately isn’t), and to prevent plastic from entering the environment. Julie Andersen is their Executive Director and co-founder, and she’s our guest today to talk about this fascinating and somewhat terrifying topic. Julie Andersen has worked in public health and nonprofit management internationally for the past 15 years in the US, Japan, Hong Kong, and Thailand. Her career has focused on the effective communication of information regarding new means of improving and safeguarding human health as well as the environment against the negative effects of industrial development. We talk about the basics of why plastic is so bad for our environment, just how big the problem really is, and what activists can do to get involved in changing our plastic consumption habits and norms. Whether all plastics are equally bad for you and the environment. Recommendations about what NOT to do with your plastic packaging. The true scale of how much plastic is produced and used worldwide – with much of it designed for only a single use. How plastics interact with other chemicals, how they break down, and the effects of microplastics on the ocean. Whether or not plastics can truly be disposed. How plastics find their way into our oceans. What consumers can do to reduce their plastic consumption. How you can get involved with activism to reduce plastic use and pollution. Join the conversation by leaving a comment below!.